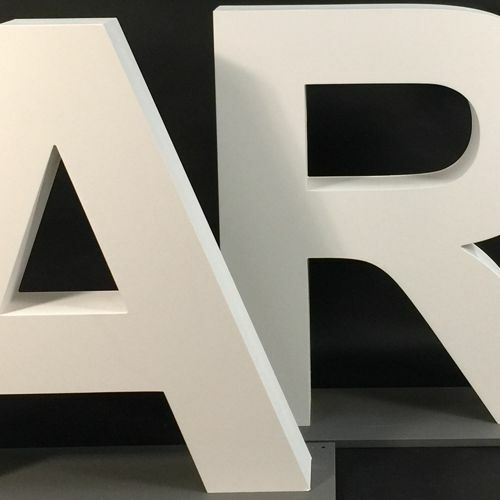 Large Wooden 3d Letters. MDF, plywood and softwood. great for events, Graduations, receptions etc. 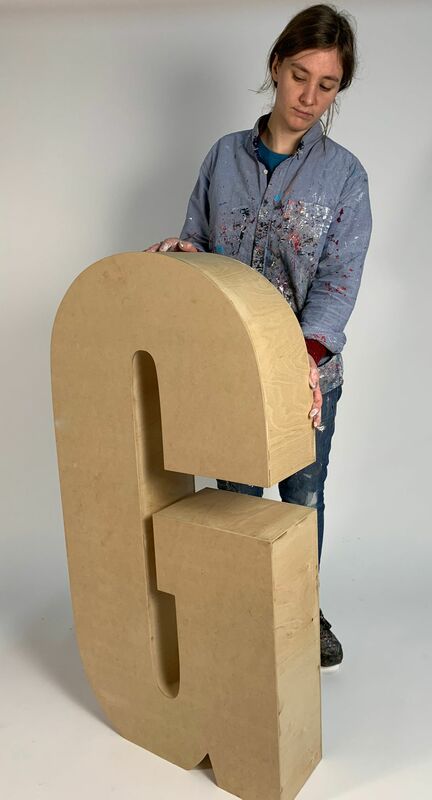 In addition to our popular polystyrene/ styrofoam letters, we are now pleased to offer a large range of Wooden letters. These are designed and constructed in-house with our newley developed "hollow wood" design. 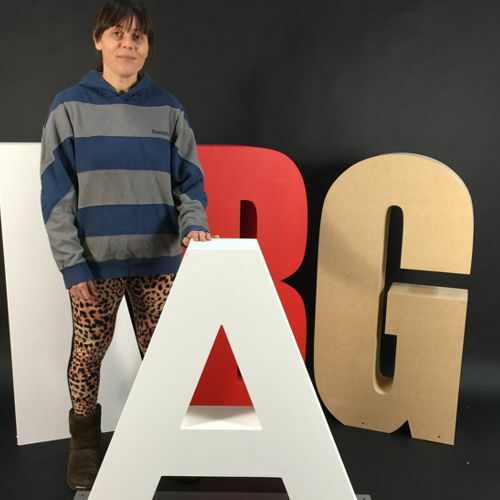 The wooden letters can be produced in our own standard fonts of Arial Bold or Impact Condensed, in sizes up to 1800mm high and thick enough to free stand. 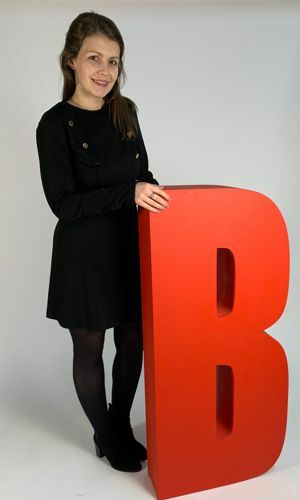 If you are looking for something more bespoke, we can produce the letters in your specific font, and at any size! Just call the studio and speak to a member of our team who will be able to help. Stronger than poly, but still light. 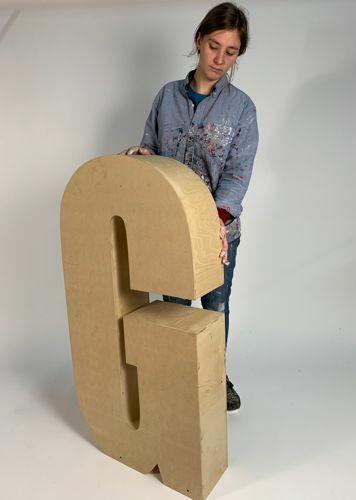 Being constructed from MDF and plywood, these wooden letters are considerably stronger than their expanded polystyrene counterparts. However, due to their unique design - we have minimised the materials used, keeping the weight down as much as possible. We have a range of finishes that can be used for the wooden letters. As they are already reasonably smooth, matt emulsion is the most popular and economic finish option. They can also be finished with Glitter, Finerock™, or a range of special finishes. Depending on how and where you plan to use the wooden letters, and also the size of them, you may benefit from having MDF bases fitted. 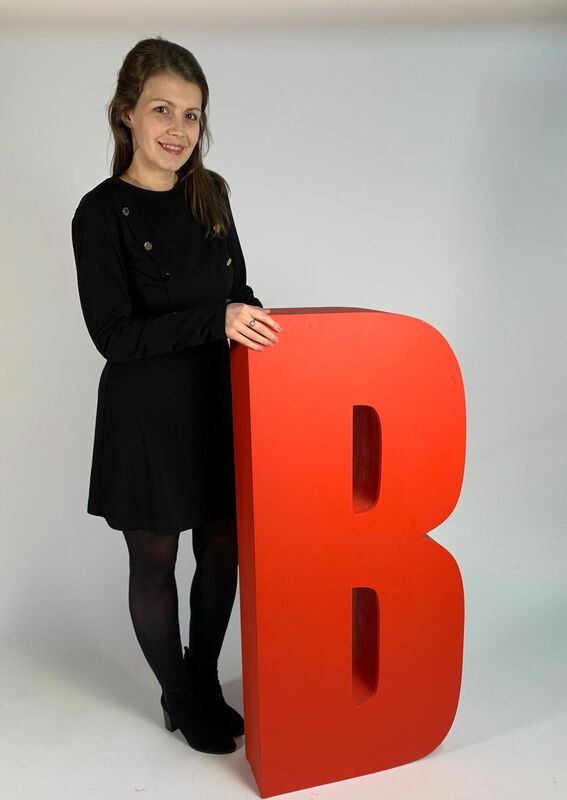 These will simply screw onto the bottom of the letters, and make them much more stable, which is great for events and Graduations etc where there are people mingling nearby. 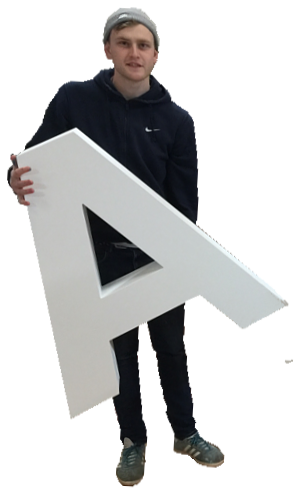 For some very large 3d wooden letters, you may need to look at further securing them. We can advise on relevant fixings.